I love curry pretty much any time of year, but it always seems particularly spectacular when it start getting cold out. 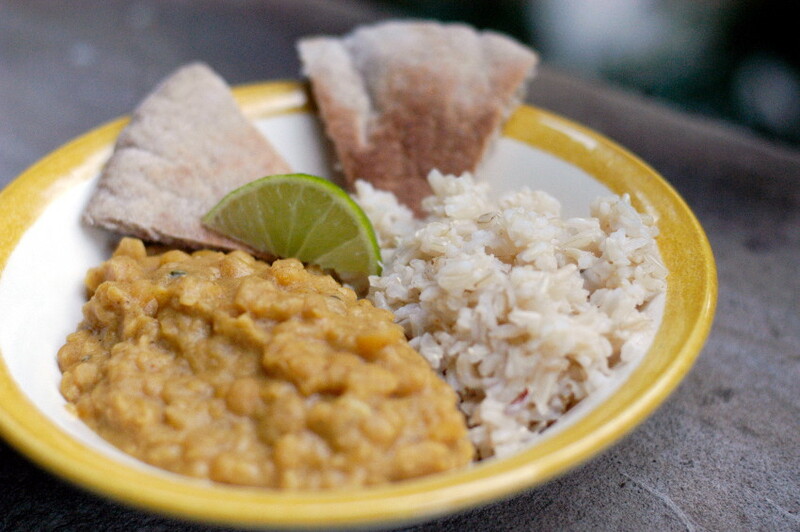 Even when it comes to picking a restaurant, I tend to lean toward Indian restaurants or other cuisines that include lots of spices in the fall and winter. 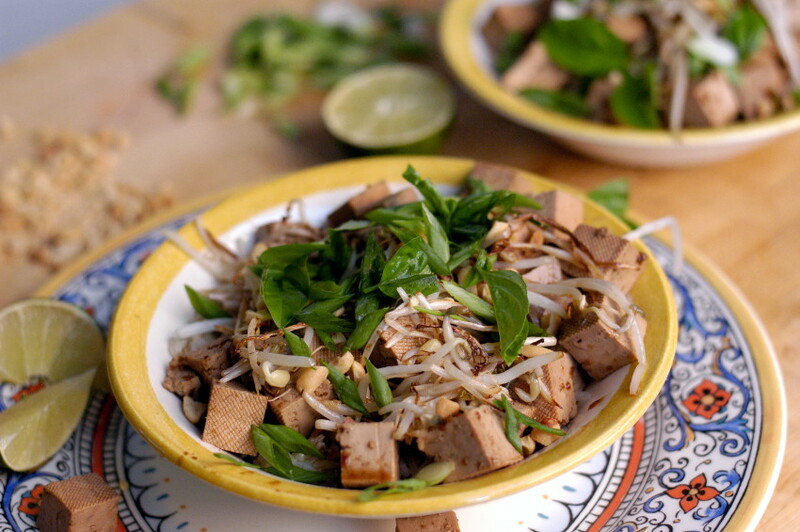 This dish came together so easily and had fantastic textures between the tofu, bean sprouts and peanuts. 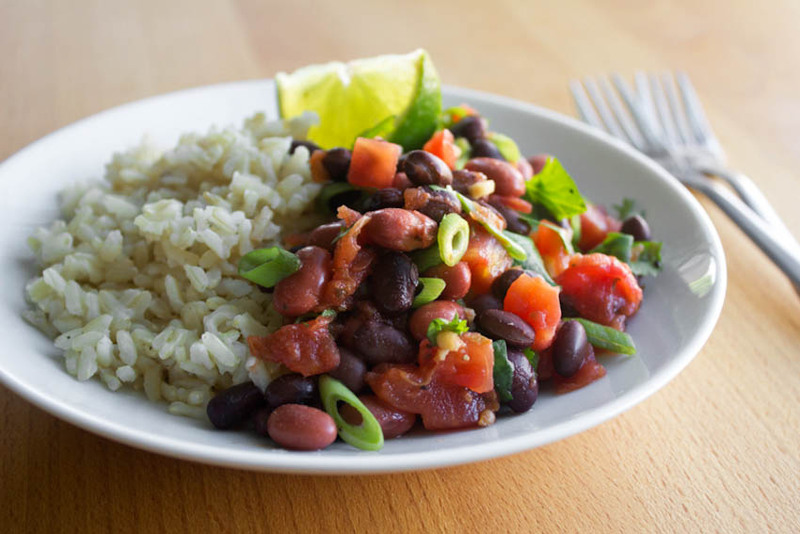 Definitely do not skip the addition of a lime wedge, that little blast of tart citrus juice really elevates the dish and cuts some of the saltiness of the lime and peanuts. I could have eaten this dish for days on end. 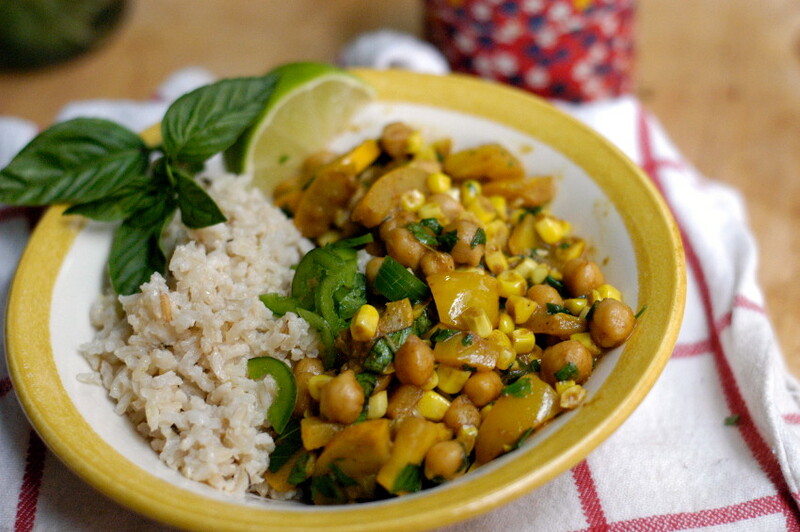 Sure, hot food in the summer sounds rough, but this dish was really lightened up by the basil, lime and coconut milk. One of my favorite meals this summer. My new grocery store in Rhode Island has an impressive selection of ethnic foods. In the Mexican section, there are cans of beans for days. I was stocking up on black beans when I spotted frijoles rojos pequeños, or small red beans, so I grabbed a can. I didn’t have a plan for it, but I knew it would come in handy when I needed to come up with a quick dinner. And it did! Grain-based salads are my favorite. Exhibit A: This red rice salad with cucumber, cilantro and mint is one of my go-tos. Exhibit B: This barley salad with spring vegetables makes my mouth water just thinking about it. 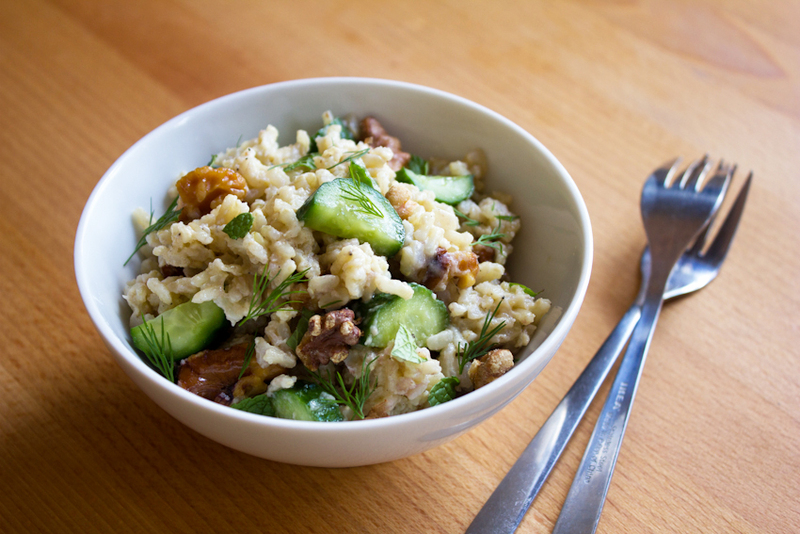 Now I’ve found a new rice salad worthy of joining the recipe rotation. Tahini gives the dressing a nutty creaminess that I love, and cucumbers and herbs brighten things up. Enjoy! Adding the sauce straight to the rice — rather than serving it on the side — make these spring rolls great for one-the-go action. 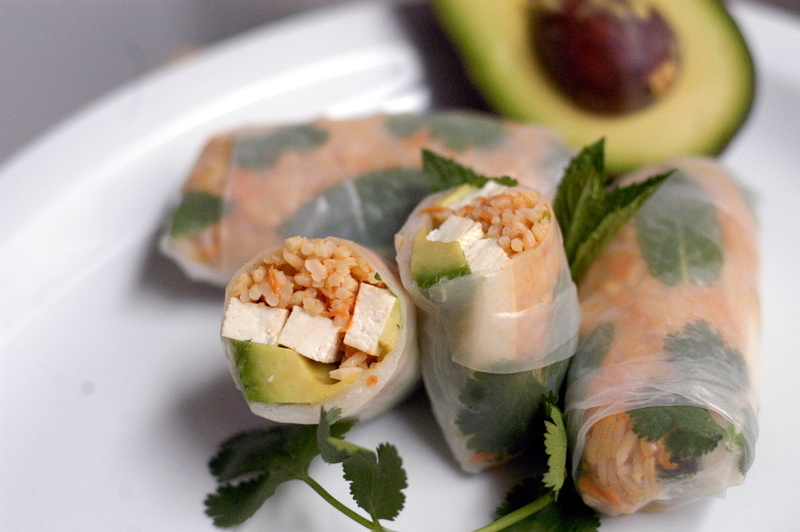 It may take you a few tries to master the spring roll wrap, but it’s a really fun way to interact with your food. Just be sure to put the herbs down first so they can be showcased through the translucent rice paper. I made this right before I left Roanoke on the day I went outside and measured 18 inches of snow on the front porch. I’d gone to the grocery store the day before and bought a scant few snacks. But when the storm hit, I realized I didn’t have much in the way of real food. So I dug into the pantry and pulled some of my favorite Asian sauce ingredients from the fridge. 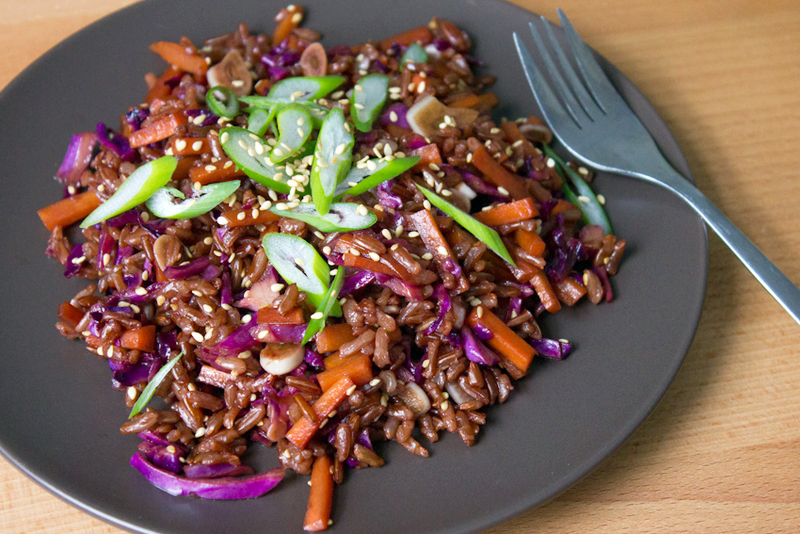 Sesame quickly became the flavor that tied this dish together, and it was perfect with the already-nutty red rice.